A few weeks ago Alyce and I went to what I think will be our last Dad's night out event. 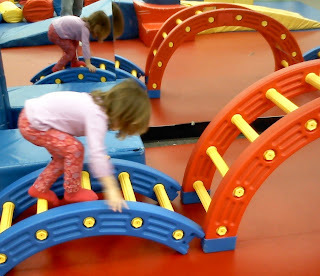 Like in some previous posts Dad's Night Out is an event where Dad's get to spend time at the Early Childhood Development Center with their kids without the Moms being around. Really more than Dad's night out it is Mom's night off. The reason why this is going to be her last time is that Alyce is starting to get too big for the things we do there. 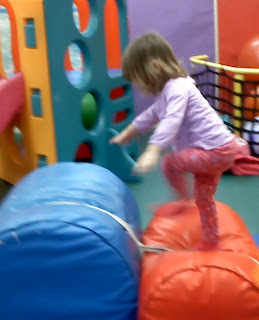 She has mastered climbing over the blocks and using the cars to the point she loses interest in them quickly. Even though she is getting to be too old for this event there are many other events developed for older children. I look forward to those in the future as it will give time for just Alyce and myself.